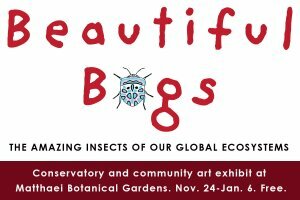 Beautiful Bugs, the holiday conservatory exhibit at Matthaei, features large-scale graphic representations of butterflies, moths, beetles, and other multi-legged creatures that inhabit the world’s ecosystems. Insects and bugs make up a parallel universe of nature that often goes unnoticed or under-appreciated. 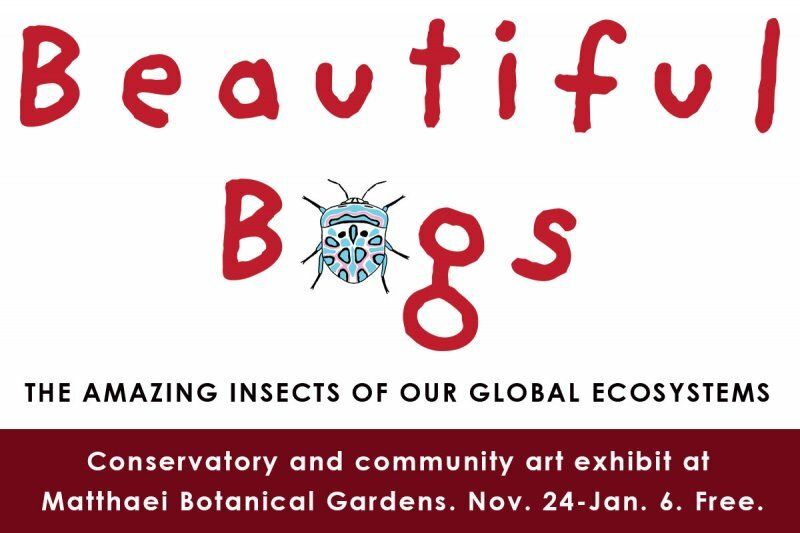 Along with the exhibit we're displaying works by local artists and their take on insects. This annual winter/holiday event also features seasonal flowers, decorated trees, family/youth activities, and more. Matthaei Botanical Gardens is closed Christmas Eve, Christmas Day, and New Year's Eve. Open New Year's Day 10 am-4:30 pm. Free admission.